In the Walking Dead: No Man’s Land from Next Games Oy, high production values and solid combat mechanics help this stand out from the crowded field of freemium zombie battles. 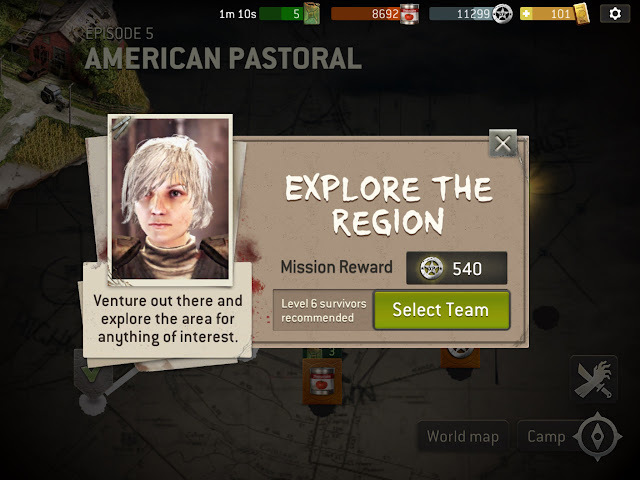 The zombie apocalypse setting will be familiar for fans of the show and comic, players will send survivors on dangerous missions to gather materials, XP, weapons and more. 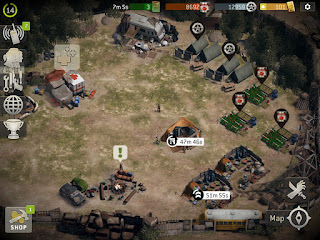 Meanwhile, players use a familiar system of resource gathering and upgrades to improve base camp. 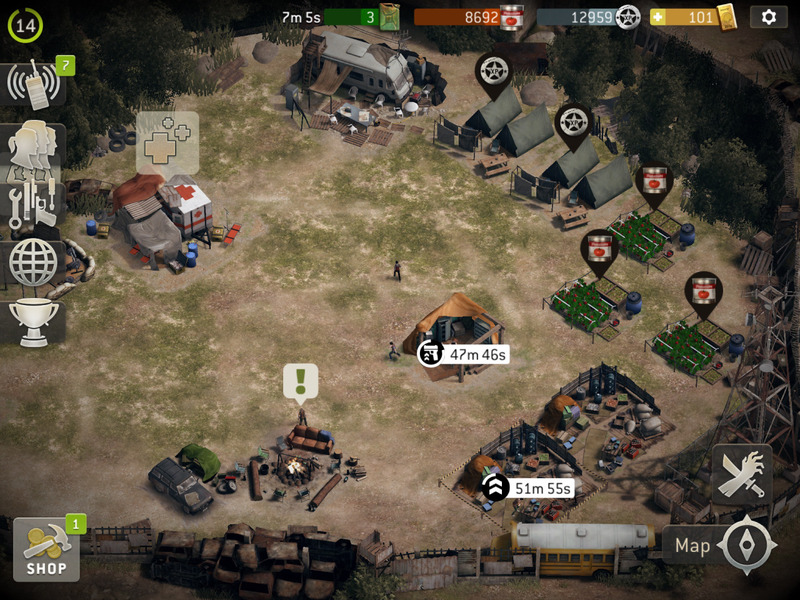 Camp improvements include a weapons workshop, a training camp for survivors, farm plots and so forth, to give your survivors the best chance of defeating the zombie hordes. Fans of The Walking Dead will enjoy recognizing characters and outfits straight from the series, while players just looking to slay some zombies will wish for some character customization. In a zombie game, blood and gore is almost a requirement, but fortunately most of it are just splatters of dark blood or contained in skippable cut scenes. It is just perfect for gamers, like myself, who enjoy strategy and suspense in a combat game, without seeing internal organs. Missions can be replayed on “Hard mode,” allowing for a bit of replayability, but I wasn’t particularly tempted by redoing locations with tougher zombies, especially with new locations to explore and new strategies to try out. 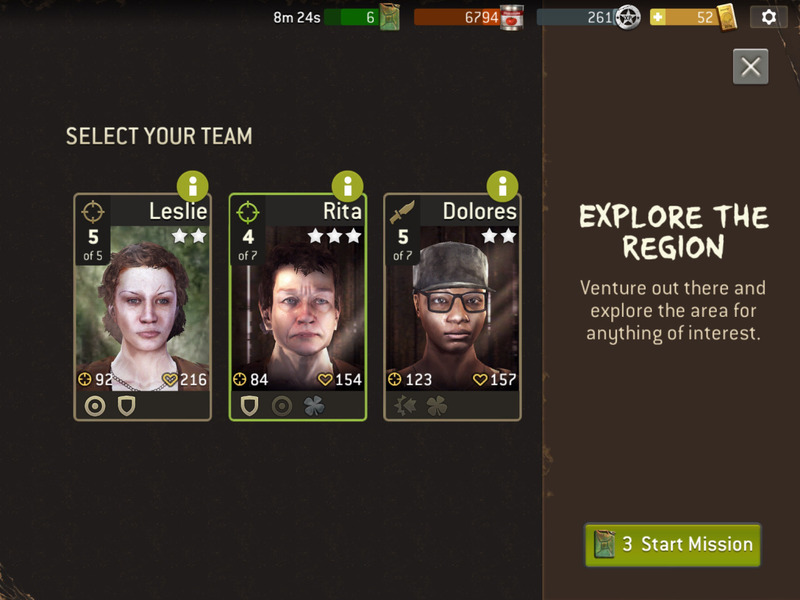 Like most freemium games, Walking Dead: No Man’s Land relies on the common click-and-wait mechanic. Players can either wait for an upgrade to complete, or pay to speed it up. Without a premium purchase to recharge, players will quickly run out of energy to perform actions. There are plenty of worlds to be explored, but the freemium mechanics will keep play sessions short.